Depending on the size of the property, an EPC assessor (or ‘Domestic Energy Assessor’) takes little over an hour to complete the survey. So, what does the EPC assessor look at? Pretty much everything they can. 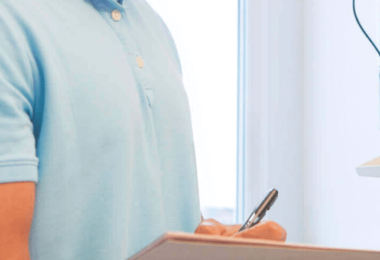 Unlike an electrician or plumber who focus on one or two aspects of your home, an EPC assessor must evaluate the whole building’s efficiency in a relatively short space of time. The EPC assessor will have to access every room – and the loft if possible – so a little cleaning might be in order prior to the survey. You won’t be expected to lift any floorboards or carpets though; it’s designed to be a brief, non-intrusive assessment of your home. Any improvements you have planned for your home should be finished before you book an EPC survey. 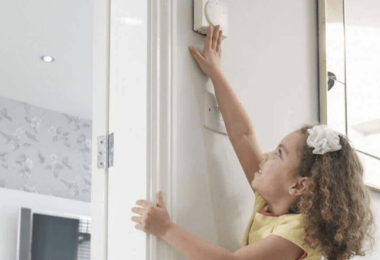 The domestic energy assessor evaluates the efficiency of the house at the time the survey was taken – they can’t include improvements that aren’t already in place. Keep in mind that existing dwellings require an RdSAP EPC (Reduced data Standard Assessment Procedure), whereas new dwellings require a full SAP EPC. For the RdSAP, the domestic energy assessor can only include energy-efficiency measures that they can see or that can be proven. So if you’ve had underfloor insulation or cavity insulation installed, remember to keep documentation to hand for the EPC assessor to review. This is so that they don’t have to make any assumptions based on the age of your house that likely won’t swing in your favour. 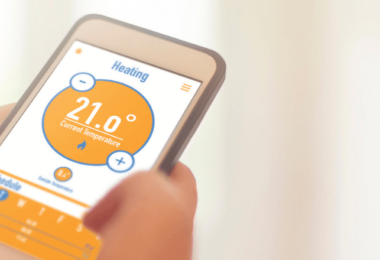 What will the EPC assessor look at? In most cases, how old your house is and how it was constructed is going to be the limiting factor on your EPC rating. Old houses with traditional solid walls, uninsulated roofs and elevated floors won’t score very highly on the EPC, so insulating these areas of your home where possible will have a large positive impact. The type and age of the house will also weigh into any assumptions the EPC assessor has to make, and the total floor area is used to find out how much fuel is consumed per square metre. Bar heat pumps, electric heaters almost always get penalized on EPCs. So, if you’re currently using plug-in electric radiators or fan heaters as a secondary heat source, take them out! The more insulation, the better. If there’s no insulation, you will end up being penalized on your EPC rating. It’s a good idea to have insulation in all the main cavities to improve your EPC rating. Additionally, loft insulation should be topped up to 270mm thick according to updated Building Regulations. The EPC assessor will need to inspect every room in the house to find out what percentage of your lights are energy-efficient. There’s a wide variety of these bulbs on the market, best of all being LED lights designed for the home. The initial cost of an LED is slightly more than a typical halogen bulb, but replacing the lighting in your home with more efficient ones is perhaps the cheapest and quickest ways to improve your home’s efficiency. 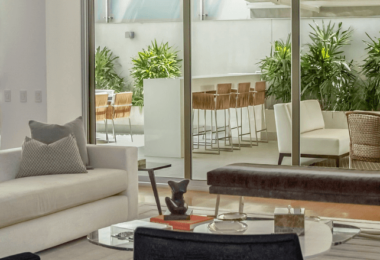 The more glazing you have on your windows, the higher your EPC rating will be. Single glazing doesn’t provide as much protection as double glazing, and at times, triple glazing can be an option. However, the upfront cost needs to be weighed up against how this will impact your EPC rating. If you insulate your water tank and pipes with lagging, this will increase your EPC rating. This is because it adds energy efficiency by keeping your hot water warmer for longer. EPC assessors will look at the air tightness value of your home. The lower the air tightness value, the better – this is where draught proofing could really come in handy. It’s worthwhile spending some time on your property getting things in order before the EPC assessor visits. By putting time and a little bit of energy into improving your EPC rating, you can ensure that your property will gain the best efficiency possible for that type and age of building. There are some things that you won’t be able to fix, but implement a few of the smaller improvements (like draught proofing, loft insulation and energy-efficient lighting) and you will be rewarded with a higher EPC rating. 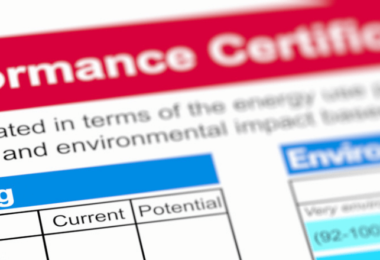 Learn more about what an EPC rating is and how much an EPC costs here.